This convenient softbound manual contains coverage of the codified Illinois Rules of Evidence, which became effective on January 1, 2011. 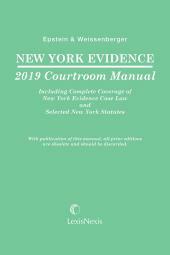 It is designed specifically for courtroom use and offers judges and practitioners many trial-tested features that not only provide fast, accurate answers to evidentiary questions, but also guide you to the underlying authorities and secondary sources. 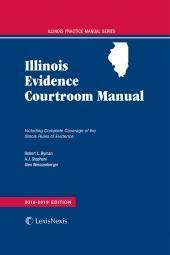 This convenient softbound manual contains coverage of the codified Illinois Rules of Evidence. It is designed specifically for courtroom use and offers judges and practitioners many trial-tested features that not only provide fast, accurate information for evidentiary questions, but also guide you to the underlying authorities and secondary sources. 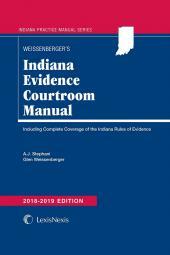 Illinois Evidence Courtroom Manual follows the popular format and features of Glen Weissenberger's well-known treatise, Federal Evidence, and his many other courtroom manuals. 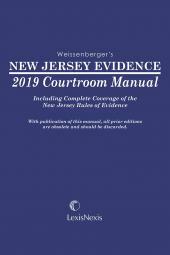 Together, Weissenberger's treatise and courtroom manuals have been cited by state and federal courts on hundreds of occasions, so you can trust that Illinois Evidence Courtroom Manual provides authoritative commentary and analysis. Robert L. Byman is a partner at Jenner & Block, LLP, Chicago, Illinois. He is a member of the firm's Complex Commercial Litigation Practice.